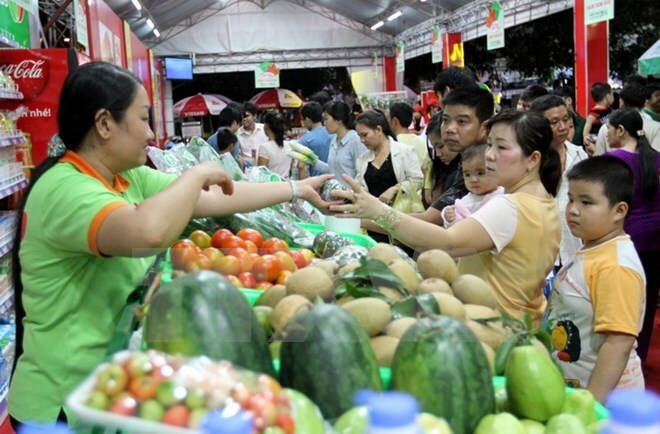 HCM City (VNA) – More than 3,000 firms and 5,300 household businesses will offer around 30,000 discount programmes during the annual sales promotion months in Ho Chi Minh City, said the city’s Department of Industry and Trade on August 16. According to the department, the promotion months will take place from September until the end of the year, with various forms of promotion such as gift presenting, prize draw and giveaway besides discounts. Several activities will be held during the event, including a special promotion week for online sales and trade promotion fairs in many places across the city. The period will be opened with a trade fair featuring various Vietnamese products, said Nguyen Phuong Dong, Deputy Director of the Department of Industry and Trade.